Prepare for your AP US History Exam using our online tools. Create quizzes and resources that will enhance your studying. Share, and Study your materials with students, friends, and teachers. Access any of our tools and resources on the go. Everyone knows studying for the AP US History Exam is a pain. But what many students don’t know is it doesn’t have to be. Students having that overwhelming and stressed feeling in the pit of their stomach is normal. Majority of the time its because they have no clue how or where to begin. Preparing is the first step! Going into an exam prepared is one of the most refreshing feelings ever. Here at ExamTime we have come up with the 5 most beneficial tips that will prepare you for your AP US History Exam. How typical, yes we know but AP US History requires you to know specific terms, events, people and dates. So whatever it is you are required to know start studying it NOW. But why waste precious trees when you can use online flashcards to do so? 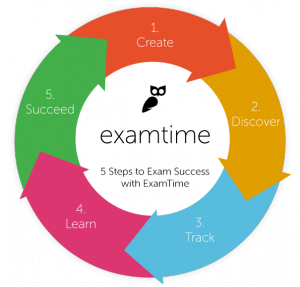 ExamTime offers online flashcard tools to help assist you. Our online Flashcards are easy and quick to create. In seconds you can start quizzing and memorizing your information. Click below and tryout one of our AP US History Flashcard Decks and start memorizing now. The AP US History Exam consists of a large quantity of information that students must learn and have a good understanding of. One of the first few steps you should take when starting to study for this exam would be to construct a Study Guide. Online note tools is a great way for you to do so. Whether you chose to create notes based on each chapter of your course or by the historical events you need to know, Note tools allow for you to create and arrange information to your preference. Designing online notes give students the ability to put together a variety of study materials in an easy and efficient way. So before you jump right into trying to memorize your chapters, make it easy on yourself and create a study guide! You may also check out ExamTimes Ultimate Study Guide for AP US History for other resources you may use preparing for your exam. Sign up now and use ExamTimes Notes and other tools for free! With over 30 different AP Exams offered, it is important to know the format of your specific exam. Though some may be formatted the same that is not always the case. Whether it’s multiple choice questions or free response essays, it will benefit you tremendously to know what to expect before the day of your exam. The AP US History exam is composed of multiple choice questions and free response answers. Mind Mapping for your DBQ and free response essays is a great way to plan out which sections you need more work in. Though you may like studying alone, Group studying can often expand the effectiveness of your studying. Having ideas and opinions from others gives you insight to topics and materials in a way you might not have ever thought of before. Who says you need to leave your home to participate in group studying? 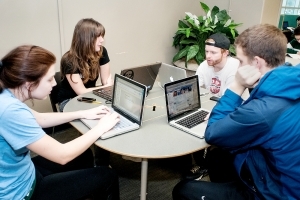 Online group studying tools allow for you to share your ideas while also getting the insight from other students as well. Whatever blind spots you might have in AP US History, others might not! Gathering and sharing ideas are a great way to take advantage of all available AP US History resources. No phrase is more accurate than “Practice Makes Perfect”. Practicing is the uttermost important aspect of studying. One time studying your flashcards isn’t going to cut it. Repeat cycling your materials multiple times throughout your studying process. Whether you chose to study your events by using flashcards, your essay questions using Mind Maps, or just quizzing yourself using multiple choice questions, the time to start is now. Sign up with ExamTime and start preparing and studying for your AP US History Exam for free!